Morzine and the Portes du Soleil is the perfect place to visit for your walking holiday in the Alps. There are over 200 km of alpine walking and hiking trails to suit all ages and abilities. Thanks to the Multi Pass, the Portes du Soleil area of the French and Swiss Alps has been truly opened up for alpine walking holidays. The Multi Pass is included in your Simply Morzine holiday if catered or at a subsidised rate if self-catering. This pass gives access to 21 mountain lifts across the Portes du Soleil, making travel across different valleys and resorts (and even 2 countries!) accessible to all. The Multi Pass avoids the need for strenuous ascents and makes a huge variety of terrain easily accessible for your walking holiday in the Alps with Simply Morzine. 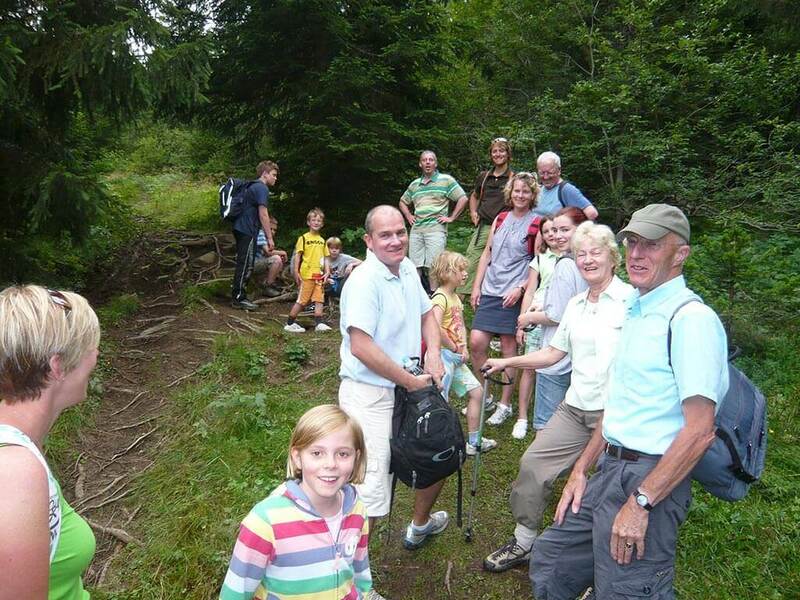 There are plenty of trails starting and finishing in and around Morzine itself for your family walking holiday. The circuit in Parc Dérèches is perfect for young children, taking you around the park with bridges criss-crossing the River Dranse. There is a beautiful lakeside walk around Lac Montriond which you can extend with a little climbing to the spectacular Ardent waterfall. Another trail starting in the heart of Morzine takes you along the river and through the woods to the stunning Nyon waterfall. Using the Pleney cable car gets you right up into the mountains, and numerous walks including one all the way to neighbouring Les Gets across the 18 hole golf course. For stunning views of Mont Blanc and the surrounding French Alps, the walk from Mont Chery to Mont Caly is not to be missed. Alpine walks such as the hike to the Col de Cou or Col de Bretolet, following the path used by the French Resistance during World War II to cross into Switzerland, prove to be firm favourites for any walking holiday in the French Alps. Other popular walks close to Morzine include a section of the famous GR5 traverse of the French Alps en route to the picturesque village of Samoëns, or making your way to Chatel with the aide of chairlifts to reach the amazing Fantasticable zip wire which crosses a steep alpine valley. As with all walks, alpine restaurants provide much needed rest and refreshments along the way. There are plenty of trails to challenge serious hikers looking to trek high into the French Alps for stunning mountain scenery. The long ridge ascent in the Dents Blanches offers great scrambling with stunning alpine views of the magnificent Mont Blanc. The classic Roc d’Enfer, a dramatic ridge route with chains for support on some scrambling sections, rewards your walking efforts with breathtaking views. There are also the famous three peaks dominating the scenery in Morzine: Ressachaux, Nyon and Nantaux. Each challenging “vertical kilometre” hike gives you amazing views of the Portes du Soleil and the surrounding Alps. These trails are demanding for even the most experienced walkers, offering a true sense of achievement in conquering even one. Hiring a local French mountain guide is a safe and enjoyable way to enjoy all of the more extreme routes on offer for walking in Morzine and the neighbouring French Alps. Each of our resort representatives has experience of walking in Morzine and will be a valuable source of knowledge during your alpine walking holiday in France. The official Morzine Avoriaz Summer Walking Guide has lots of useful information which you can download here. Book with Simply Morzine this summer to experience the best of the French Alps! Accommodation includes high-quality catered and self-catered chalets, self-catered chalets & apartments and a French hotel. Simply Morzine’s unique alpine activity programme is a great alternative to the beach. What makes a family summer adventure holiday with Simply Morzine such an unforgettable experience..?